Creative advertising campaign for Target stores features iconic weapons of The Avengers team of superheroes made out of toys, beverage cans, and other household objects. Similarly, Mjolnir is made out of Dr. Pepper cans, toys, a toaster, a radio, a dumbbell and a thermos. The representations of the rest of the cast are equally creative. 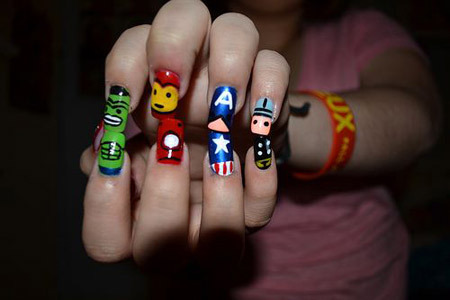 The Iron Man suit, Captain America's shield, Thor's hammer, the Avengers logo, and the Hulk hands were “assembled” for Target's “Superhero in Every Aisle” promotional campaign by Wieden+Kennedy advertising agency. 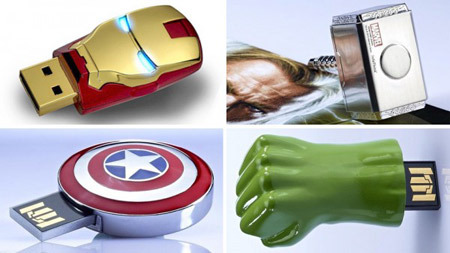 If you're a comic book fan or just like The Avengers, a new geeky tie-in for the film has surfaced in the form of flash drives celebrating some of The Avengers characters. 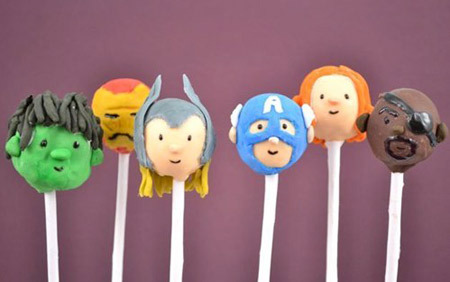 Yes, the comic-book superheroes known as The Avengers do have something in common with canned food; a new twist on helping out a Rio Rancho food bank. Intel's Rio Rancho plant has teamed up with Canstruction to build a giant replica of the Avenger Hawkeye to benefit Storehouse West. 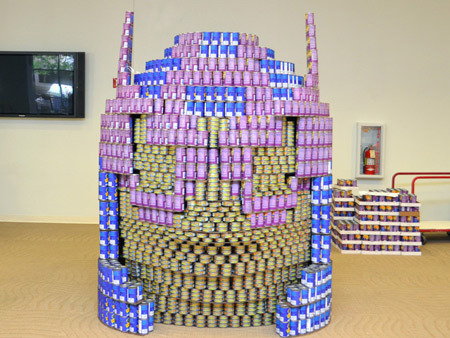 Since launching its national combination of art and canned food, Canstruction reports that its events and sculpture competitions have contributed 17.5 million pounds of goods to community food banks. 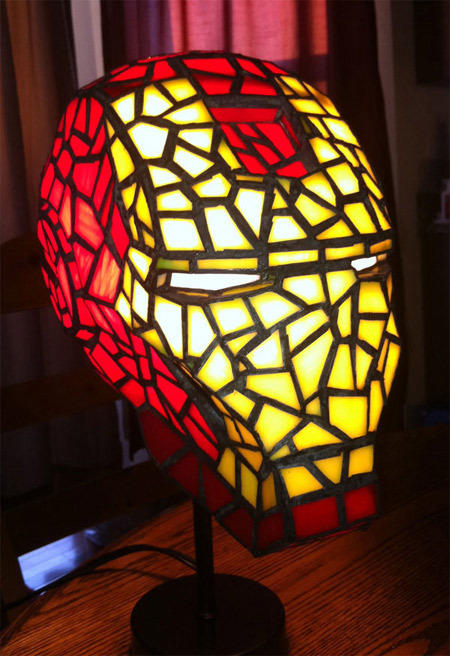 The dark can be filled to the brim with supervillains who could easily destroy you, but not if you have an Iron Man lamp handcrafted out of stained glass to brighten the room and fend them OFF. This awesome piece of desktop lighting was made by mclanesmemories. Because who needs eyebrows when you can paint them on, here's a series of Avenger-inspired eye makeups from makeup lover Jangsara. Me? I don't love makeups. I love breakdowns. *sobbing* I JUST CAN'T DO IT ANYMORE. These are some super soda cans. 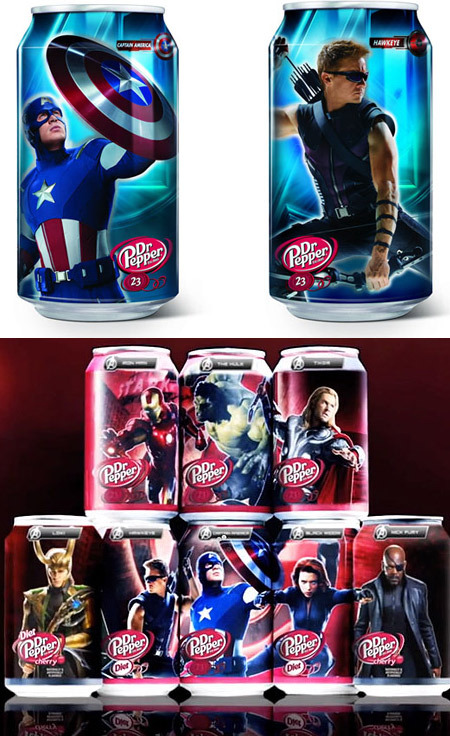 Dr Pepper and Marvel Comic‘s The Avengers have produced a set of 8 limited edition, collectible, cans. 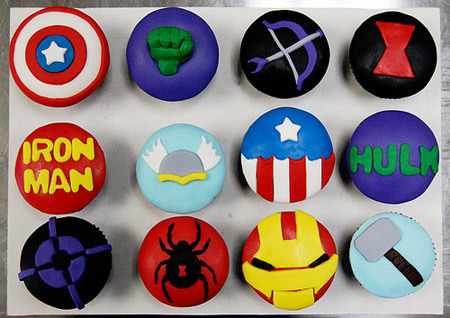 To kick off Australian Fashion Week, Australian label, Romance Was Born, partnered up with Marvel Comics to create a Spring/Summer 2013 collection based on The Avengers. The 25 looks were inspired by the graphics of comic book artist, Jack Kirby, and evoke comic sentiment through zigzags, halftone patterns, dazzling colors, and shoutouts to superhero costumes - like arm-cuffs, leotards, and tight bodysuits. Lamborghini Aventador is one hell of a beast, and The Avengers seek to bring the same aggressiveness and finesse to the wrist. This was quite a challenge, but designer Marko Petrovic seems to have done just fine. The concept watch uses the rare vertical tourbillon that should come in handy to save some space in the design.